Blogger or blogspot.com is one of the leading and most popular blogging platform in the world. Millions of people use it everyday and share their views with the world. For quite some time many of the bloggers were looking to integrate their blog with their Google+ profile or their Google+ pages. Today is the day and finally you have native support to integrate your blog with your G+ profile or G+ page. 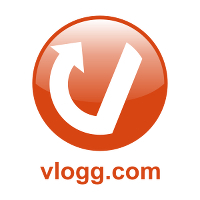 All you have to do is login into blogger, click on the new Google+ tab and click on Upgrade to Google+ button. If you have used prior method of switching blogger profile it is automatically linked. However starting today you can even link to Google+ pages of your business or brand (much sought after feature). Whenever you publish a blog post, you’ll be prompted with a Google+ share box for easy sharing to your circles. Use Google+ gadgets to attract more audience. This will help increase followers to your blog. Take advantage of these new Google+ tools and connect your blog with your social world.